On behalf of the band and fans worldwide we congratulate Geoffrey on the 40th Anniversary of his first gig with the band in Berne Switzerland on September 9th 1972. The line up at that time was: Pye Hastings Richard Coughlan Geoffrey Richardson Stuart Evans and Derek Austin. 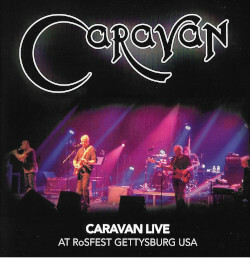 If you look under the “media” section and “videos” on the website or visit the official Caravan YouTube channel there is TV footage from one of his earliest gigs with the band in France (playing a new arrangement of ‘The Love In Your Eye’). 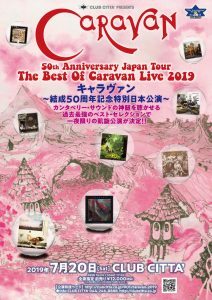 We thank you for your superb playing over the years and your crucial contribution to the Caravan sound that is still very much in force today. Next year is the 50th Anniversary of the band! This entry was posted in News on September 23, 2017 by Martin Davenport.